If you take multiple medications throughout the day, you know how much effort goes into keeping your pills—and your schedule—organized. Let Medicap Pharmacy® organize your medicine for you with multi-dose packaging. 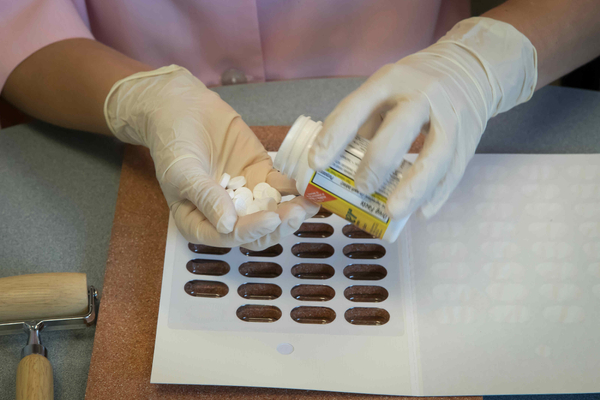 When you enroll in this service, our pharmacist places the pills you need for each dose into individual packets. Instead of picking up different bottles of pills from the pharmacy, you’ll go home with convenient multi-dose packets. It’s a safer, easier way for you to keep on top of your medication. Stop by our pharmacy to learn how multi-dose packaging can simplify your life. The information provided here is for informational purposes only and is not intended as a substitute for professional medical advice for diagnosis and treatment. Please consult your healthcare provider with questions.